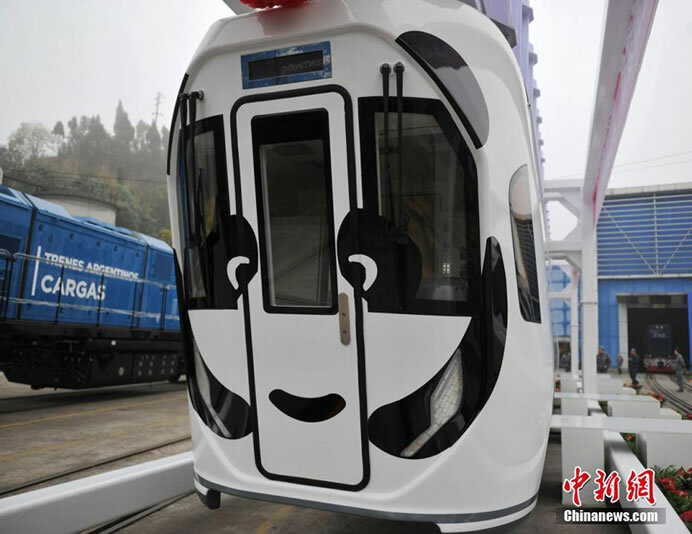 China’s first unmanned, panda-shaped Sky Train rolled off the production line in Ziyang, southwest China’s Sichuan Province today. 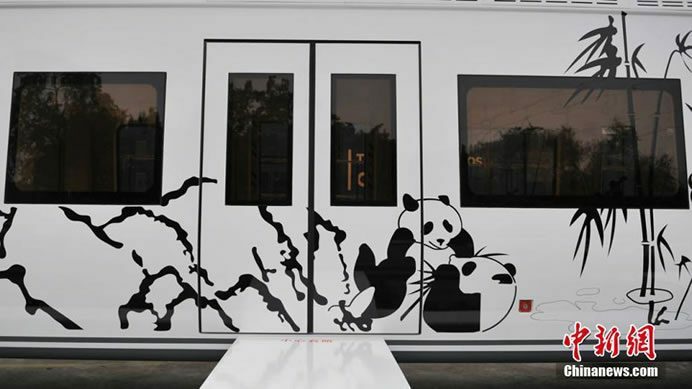 The renewable-energy unmanned suspension railway is battery-powered, with cute pandas painted through carriages. 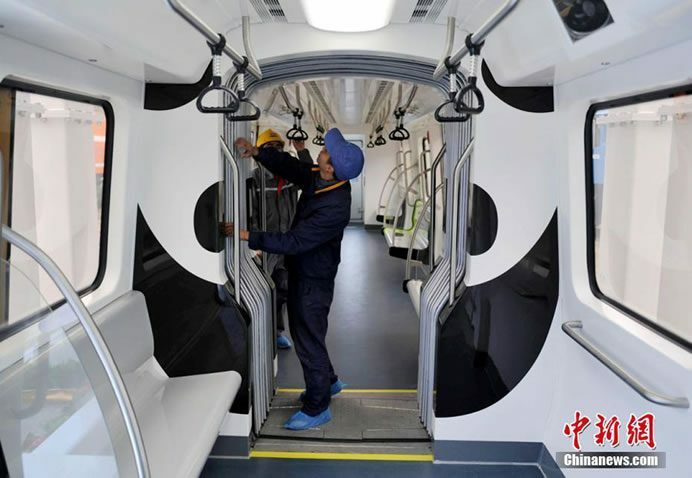 The unmanned panda-shaped Sky Train can carry a maximum of 144 passengers as it hangs and zips along the monorail track at speeds of up to 65 km/h.